Each guide has been specifically selected for your adventure based on their knowledge, experience, and skills. Ashley Hann is known province wide for her success in living off-grid and for her success as a hunter and farmer. She studied forestry and wildlife and completed courses in boating, hunting, canoeing, and wilderness safety. An avid hunter, Ashley is passionate about living in harmony with her environment, depending on its animals and fish for her food, together with animals she raises and the produce that grows on her farm. Ashley, one Newfoundland’s youngest outdoors women, has twice attracted the attention of the Canadian Broadcasting Corporation. Its popular Land and Sea series featured her in two separate episodes, each focusing on her independence and wilderness self-sufficiency as a farmer, hunter and angler. Ashley has authored articles for Newfoundland Sportsman Magazine and her photos have been published in several others. John Wight has been a licensed guide for over 25 years. He is a native of Newfoundland’s west coast whose greatest passion has always been the outdoors and fully embracing the natural environment. John acquired an Adventure Tourism Diploma in 1995 and subsequently obtained certificate training for big game hunting by Boone and Crocket and Safari Club International. Certified for first aid and wilderness survival, John has led visitors from around the world on a range of wilderness expeditions, including backcountry hiking, salmon and trout fishing, moose and caribou hunting, and snowmobile touring. 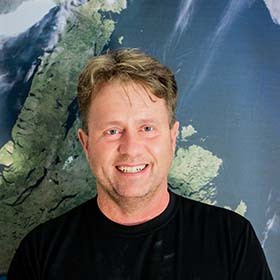 Joe Dicks, a BCU accredited senior instructor and guide, has guided kayakers in Newfoundland coastal waters for close to 30 years. Colin Murray began fly fishing at eight years old, his passion for the sport increased over the decades, along with his skills with the fly rod and his knowledge of Newfoundland’s rivers and wilderness. Colin is a founding member and former director of Wild Salmon Unlimited, one of many volunteer river groups and salmon organizations that promote the sport and advocate for habitat preservation and effective river regulations and enforcement. Having completed a degree in environmental studies he is currently research and writing a Master’s thesis on the ‘human dimensions of Atlantic salmon’. Jacob Dicks is an experienced outdoor photographer who has done assignments for Red Bull Canada and Guides D’aventures. He documents all tours for Explore Newfoundland. Jacob’s expertise is with both the camera and photo editing applications. He cut his photographer’s teeth in every season of the Newfoundland outdoors, shooting from kayak and Kodiaks, from ATVs and snow-machines, from inside hunting blinds and caves, from helicopters and underwater. For Jacob being familiar with the traits of wilderness light and the traits and habits of local fauna are as important as knowing your gear and technical skill.